Presentations should entertain, but also challenge the audience to think deeply. People should walk out energized with a renewed sense of mission and practical ideas about what they can do immediately. 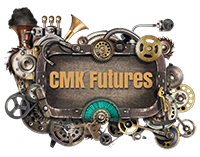 CMK Futures is about an optimistic future where education can change children’s lives, and educators are trusted to make this happen. Combine speaking with ongoing professional development for maximum long-term impact. Parent & Family Events – We can design and lead “maker” events and workshops for parents and kids around the world. Join Dr. Gary Stager as he makes the case for embracing modernity as a way of preserving the finest traditions of child development and preparing children to solve problems neither their parents or teachers can imagine. As a father, grandfather, and veteran educator, Gary remains optimistic that each kid can realize their potential if parents and educators are courageous enough to stand on the side of children. During his presentation, Gary will illustrate how learning-by-doing, new technological materials, and timeless craft traditions can supercharge the learning process. He will encourage us to educate for the the future of our kids, rather than our past, and demonstrate how not all screens are created equally. Along the way, he will share evidence of educators more than up to this herculean challenge. Learning outside of school is being transformed by the trends of tinkering, maker culture and personal fabrication. Educators need to be mindful of this major shift in digital learning, married to craft traditions, and student agency to create productive contexts for learning. The Maker ethos of constructionism, or learning-by-making through first-hand experience will be explored in the context of projects using a range of analog and digital “construction” materials. Children can now use technology to create and solve their own problems. Affordable tools and materials, such as 3-D printers, laser cutters, Arduino microntrollers, MaKey MaKey construction kits, conductive paint and wearable computing components allow students to go farther than was imagined just a few years ago. Junk, high-tech gear, art supplies and engineering principles collide to expand human potential. Art and science converge and are amplified by computing. When the artificial boundaries between subject areas are blurred and every student requires the same process skills and tools, the distinction between vocational and academic education are obliterated. In order for schools to seize the opportunities afforded by this “Maker” spirit, educators need more than awareness that the world is changing. They need to develop new skills and redesign classroom environments to support learner-centered practices in order to prepare kids to solve problems their teachers never anticipated.. The social and technological revolution known as the maker movement offers unprecedented opportunities to learn and amplify human potential. Making inspires education reform and schools require substantive change in order to maximize the affordances of learning through firsthand experience. Examples of making, tinkering and engineering, in and out of the classroom, will be shared in order to address five critical areas of focus for those interested in leveraging the maker movement to make schools more productive contexts for learning. Learning outside of school is being transformed by several trends based on learning by firsthand experience. Several technological game changers are reanimating active learning, tinkering and apprenticeship. Hundreds of thousands and children and adults are coming together to celebrate creativity, ingenuity and invention in the context of projects using a range of analog and digital “construction” materials. For school leaders, the immediate challenge is to create productive contexts for learning where there are greater opportunities for inquiry, project-based learning and student leadership, regardless of gender, ethnicity or socio-economic status. When the artificial boundaries between subject areas are blurred and every student requires the same process skills and access to tools, the distinction between vocational and academic education must be obliterated. In order for schools to seize the opportunities afforded by rapidly expanding “maker” movement, educators need more than awareness that the world is changing. They need to develop new skills and redesign classroom environments to support learner-centered practices. New curricular diets may need to be created. School only serves 21st Century learners when it prepares them to solve problems that their teachers have yet to anticipate. In this provocative keynote, Dr. Stager will provide examples innovative classroom practices and examples of students learning by doing with active knowledge construction. Advice for how schools may join the maker movement will be shared as well. There may be no greater gap between a discipline and the teaching done in its name than when the beauty, power and mystery of mathematics become math instruction. One can only begin to address the systemic challenges of math education by understanding the nature of mathematics and the power of computing. Nearly 100 years of efforts to increase achievement with unchanged curricular content continues to fail spectacularly; yet, we do not change course. Surely, the widespread availability of computational technology demands new pedagogical approaches and a new diet of mathematics. This keynote/workshop moves beyond the goal of making math instruction engaging for children by providing educators with authentic mathematical thinking experiences. Such experiences acknowledge the role computers play in mathematics and society’s increasing demand for computational thinking. Project-based approaches with mathematics at the center of the activity will be explored. Traditional concepts such as numeracy, geometry, probability and graphing will be investigated in addition to exciting new branches of mathematics rarely found in the primary grades. This keynote/workshop is designed for teachers of grades K-8. It may also be offered as an ongoing course with a greater emphasis on curriculum development and action research. President Obama recently proclaimed a goal of computer science education for every student. Maker educators should lead such a movement. This session will explore the mutually supportive nature of making, progressive ideals, and computer science education, while cutting through the confusion associated with the hype. Creative educators should lead the movement to teach all kids to program, but only after goals are clarified and “ C4All” (Computer Science for All) is defined. This session will explore the mutually supportive nature of making and computer science education, while cutting through the confusion associated with the latest “opportunity” being delivered to schools. Exciting examples of what programming across the curriculum look like will be shared and 10 powerful ideas of teaching CS discussed. 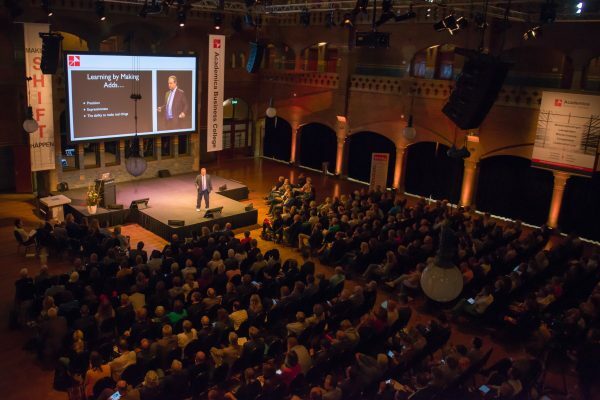 Most of these topics can be conference sessions, workshops or keynotes. The Maker Movement is a revolutionary global collaboration of people learning to solve problems with modern tools and technology. Adults and children are combining new technologies and timeless craft traditions to create exciting projects and control their world. The implications are profound for schools and districts concerned with engaging students, maintaining relevance, and preparing children to solve problems unanticipated by the curriculum. The technological game-changers of 3D printing, physical computing and computer science require and fuel transformations in the learning environment. K-12 educators can adapt the powerful technology and “can do” maker ethos to revitalize learner-centered teaching and learning in all subject areas. Are there ways that work to interest more girls in STEM, and keep them interested? How can K-12 schools and informal learning organizations address a gender disparity problem that impacts not just schools, but colleges, jobs, and every walk of life? This session will explore research, resources, and best practices to involve girls of all ages in STEM. Participants will learn about the potential to bring new tools and technology to learning spaces to support hands-on learning across all grades and curriculum – plus areas that are of particular interest to girls, such as inventions that help people, sewable electronics, e-textiles, bio-materials, citizen science, and community projects. Hands-on projects and tools can engage girls (and all learners) in STEM activities that matter. We will explore how the collaborative, tinkering nature of global revolutions like the maker movement, open source, and project-based learning dovetails with girls ability to work collaboratively and in a connected way. Creating a culture of inclusion and equity goes well beyond the lessons in a classroom or buying the right tools and technology. Culture, both in schools and organizations, must be co-created and supported in multiple ways and over the long term. It is not just a once a year training, or one-time special opportunities for girls. Have you heard that 3D printers, robots, and makerspaces are all the rage? Skeptical of yet another “learning revolution” that sounds like just another expensive shopping list? Let’s untangle the hype from the reality of the Maker Movement from an educational point of view. Before districts decide to “do” the Maker Movement, school leaders and educators need to understand what that means by exploring four important aspects: place, culture, process, and the underlying beliefs about teaching and learning. Get up to speed on one of education’s growing trends and leave with ideas that can be adapted to meet your community’s unique needs. Want to get started with “making” in the classroom? This session will explore learning by doing with a wide range of new materials and technologies that support STEM, STEAM, and other subjects. We will discuss tinkering, design thinking, genius hour, PBL and other classroom frameworks that support hands-on, minds-on learning for all grade levels. Options and ideas for the best starter purchases, makerspace design, and where to find free and low cost supplies will be shared. This is an introductory session and is often presented as a follow up to a “maker” or PBL keynote. Of course students should have powerful hands-on project-based experiences in the classroom – but how does that happen? This session will explore how to design engaging prompts with helpful (but not TOO helpful) scaffolding. We will also discuss how to manage the project process when students are using cutting edge technology integrated with iterative design. Participants will learn about new research on assessment for projects and real classroom practices with students using modern technology and materials. This more advanced session/workshop is an excellent follow up to the “Global Revolution” keynote. We will take a deep dive into how engineering design can be integrated into K-12 curriculum. Examples and resources will be shared that put the E in STEAM. Engineering can and should occur across the curriculum with a wide variety of materials and experiences to support equity and inclusion. Engineering is a confusing topic for many educators. It is one of the components of STEAM education which is a focus in today’s classrooms. However, many educators do not know what engineering really means. Is it simply hands-on science? Do you need a special curriculum? Is it only for high school students who are thinking of engineering as a college major? The Next Generation Science Standards state that for modern science courses, engineering design should be elevated to the same level as the scientific method – yet there are few resources that really explain what that means. The new ISTE standards emphasize programming and real world experiences, which are the heart of all modern engineering projects and key to inclusive experiences for underserved populations. The 2016 NMC Horizon Report forecasting emerging trends for K-12 education mentions engineering in nearly every section, including augmented reality, adaptive computing, wearable technology, artificial intelligence (knowledge engineering), and robotics. Children are natural engineers – they build and test, play with the world, and test its limits. But in school, how can we integrate this playful tinkering instinct with math, science, and technology? How can we add the artistic elements and a passion to change the world for the better to these courses? This session will focus on how engineering design and engineering principles can be revealed in not only in science classes, but in other courses and informal learning experiences. There does not have to be a special course called engineering for students to have relevant and rigorous engineering experiences. Special attention will be placed on evaluating existing engineering curriculum, new tools and technology, the role of making and makerspaces, and issues of inclusion and equity.